Regular servicing is essential for safe & happy motorcycling. Making sure your motorcycle is not only road worthy but safe too, is an essential part of owning a motorcycle. To ensure engines are kept in their prime and to secure the longevity of the moving parts, regular maintenance and servicing is a must. At mono motorcycles we offer a service package to suit every type of motorcycle, fully in line with manufacturers specifications. Ensuring chains, oil and filters are regularly changed, brakes are kept within safe parameters, fork seals are not leaking and tyres are kept to a safe legal limit; is all part of the service and maintenance options which we offer. When valve clearance checks are undertaken, customers are always advised prior to adjustments and no work is completed without the customer being fully aware of the procedures as they continue. Please do contact us directly for further information and a quote. Please note. Prices indicated below are for illustration purposes only. Prices can vary based on the CC, make & model of your motorcycle. Please contact mono motorcycles for further details. Interim service prices from £75. Prices will vary dependant on the CC, make & model of the motorcycle. Please contact mono motorcycles for further details. nut & bolt/headstock/wheels/bearings, etc check. Full Service prices from £150. Costs will vary dependant on the CC, make & model of the motorcycle. Please contact mono motorcycles for further details. Major Service prices from £280. Costs will vary dependant on the CC, make & model of the motorcycle. Please contact mono motorcycles for further details. Every motorcycle is road tested before & after works are completed and given a full assessment. Batteries are checked throughout the service procedure. Any advisories are indicated on the invoice. Fork seal replacement. We always use genuine parts & always change the lower fork guide shim, as this is a common reason for seals to leak. Mono motorcycles are specialists in wiring faults, fitting/removal of alarms & ultrasonic cleaning of components such as brake calipers and carburettors. 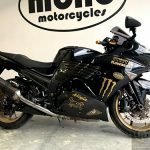 Whether you are looking for a complete wiring loom, diagnostic services with existing looms, security installation and removal of inert alarm systems & of course all general motorcycle repairs; mono motorcycles are dedicated to ensuring you are back on the road with a safe & secure motorcycle. In addition, our fully mobile service enables mono motorcycles to complete most repairs with minimal disruption to your day. Detailing is an essential part of motorcycle ownership. With all motorcycles being susceptible to UV damage, salt, fallout & acid from insects, it is always wise to protect against the damage these environmental issues can cause. Therefore, not only does detailing preserve the paint finish of the motorcycle, but it also helps prevent rust, oxidisation of paint finish & corrosion to unprotected alloys. Unlike most other motorcycle detailer’s, here at mono motorcycles we pride ourselves on the ultimate protection for your motorcycle. Not only do we correct all your painted surfaces, we also remove all fairings & wheels, polish corroded exhaust systems, flat and polish plastic headlights. As part of the detailing package, we even re-grease your chain before sealing your pride and joy with a combination of nano sealants, Zymol waxes & ACF50; giving your bike the ultimate protection. mono motorcycles unique detailing protection package is unlike any other. mono motorcycles use a mixture of a hand applied sealants to all the paintwork, metals, wheels, followed by a nano spray to seal all the hard to reach areas. The nano sealant protects your motorcycle from oil, road grime, fallout, mud & salt, making it easier to clean. ACF50 preserves the unprotected areas such as bare alloys, helping to protect your motorcycle & keep the resale value. This can be used on any type of motorcycle from road, sports bikes, customs & even off road machines! The nano sealant protects your motorcycle from oil, road grime, fallout, mud & salt, making it easier to clean.